London's property market hasn't stalled, it's still ticking over, as the experts explain. The capital is used to having things thrown at its property market and 2017 was no exception. An unexpected snap election, ongoing Brexit uncertainty, Stamp Duty costs and rising interest rates have all affected sentiment and prices.So is it ready to turn a corner this year? Charlie Willis, Head of London Residential Agency at Strutt & Parker, comments: 'Seller expectations are realigning in most situations, with appropriate asking price adjustments. As we head into 2018, we envisage seeing a more active market with an increase in the number of buyers and sellers alike." Strutt & Parker's best case price analysis of the market is for no growth in 2018, 4 per cent in 2019 and 5 per cent growth in 2020. Savill's also isn't expecting the London market to return to growth until 2019-20 and is factoring ina -2 per cent dip this year as affordability and borrowing constraints remain. "The uncertainty in the market has made sales and purchases more needs based," comments Prime London analyst Gaby Day. Simon Deen. Director at Aston Chase, agrees. "People will only move when they have to due to growing families and those who are finally taking the difficult decision to downsize." JLL also forecasts muted house price growth across all London markets during 2018 and 2019. "Across Greater London, where domestic owner-occupiers dominate affordability will be the overriding influence," says Neil Chegwidden, JLL Residential Research. "Activity in Prime Central London will be subdued for the next two years." However, favourable exchange rates following the Brexit vote has made London attractive to overseas purchasers, counterbalancing the higher levels of Stamp Duty tax they have to pay. 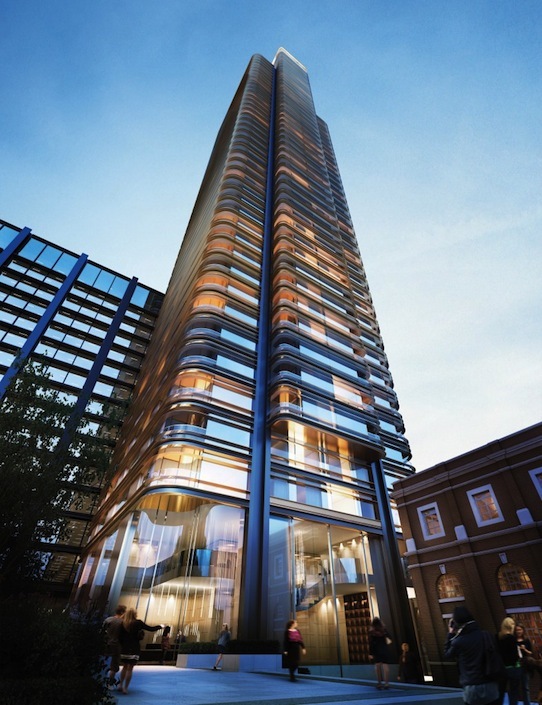 "These buyers will continue to buy London property, but usually only where they see value, says Simon Deen. "With a strong legal system, excellent schools and universities, thriving business as well as good mix of top-end restaurants, London continue to be a highly appealing place to live and invest in." Glynis Frew, Chief Executive of Hunters Property Plc, also believes that Brexit will not have the detrimental impact on the housing market that many originally forecasted. "Leaving the EU will not only stop people wanting to move house, whether they want to buy or sell," he adds. KPMG analysis of potential Brexit migration from the capital reveals a possible short-term dip in prices in Kensington and Chelsea, where French and Italian nationals make up a large share of the borough's 53 per cent of residents born abroad. However, a departure of EU citizens could be compensated by stronger demand from other nationals such as Americans. London developers like Redrow expect the new homes market to remain strong especially for properties near excellent transport links including Crossrail, and regeneration areas transforming parts of Greater London. Gary Hersham of Beauchamp states believes the Prime Central London (PCL) market has bottomed out with an upturn in growth volume set to return during 2018 to Knightsbridge, Mayfair and Marylebone. "The market below £1.5m is likely to be more greatly impacted by changes in the local economy and availability of finance than the availability of stock, particularly in the areas immediately outside PCL where new build activity continues." Witout a crystal ball to hand, one thing's for certain: predicting the London property market accurately will continue to be a challenge in 2018.